It’s interesting to see how quickly the per/gigabyte price for SSDs continues to fall as companies begin introducing bigger and cheaper models. Back in February 2018, I bought a couple 2TB SSDs for some new laptops for about $500/each. Today, ten months later, those SSDs can be had on Amazon for $290, a 42 percent price drop in less than a year. Meanwhile, Samsung recently announced consumer level QLC SSDs in 1TB/2TB/4TB capacities that will initially retail for $149.99, $299.99, and $599.99 respectively. The 860 QVO, from the box, is given a write endurace rating equivalent to 0.3 Drive Writes Per Day (DWPD), which even for the 1TB means 300GB a day, every day, which goes above and beyond most consumer workloads. Better drives, larger capacities and cheaper storage prices. What’s not to love? Ran across this September 2016 article about Samsung’s plans to drive SSD prices down to magnetic hard drive levels by 2020. As the article notes, magnetic hard drives today cost about 4 cents per gigabyte, whereas SSDs cost 20 to 50 cents per gigabyte storage. For example, I can go on Amazon and buy a 4tb magnetic hard drive for about $110 (3 cents per gigabyte). Samsung makes a 4TB SSD, but it currently costs $1540 (39 cents per gigabyte). On the other hand, SSDs have a lot of advantages over magnetic hard drives, though not enough to warrant paying 13 times as much (at least for my intended usage). If SSD prices do fall to current HD prices by 2020, that would be a major game changer. Intel/Micron to Release a 10tb SSD? Back in early 2015, Intel and Micron suggested that work they were doing could result in a 10tb 2.5 inch SSD. Now that Micron is apparently beginning to manufacture its new 3D flash chips, that 10tb SSD might not be too far off. Want to make the switch to SSDs but feel they don’t offer enough storage space? Then you might want to hold off making any purchases for a while because Intel, in partnership with Micron, is reportedly getting ready to unveil SSDs with 10TB of storage capacity. 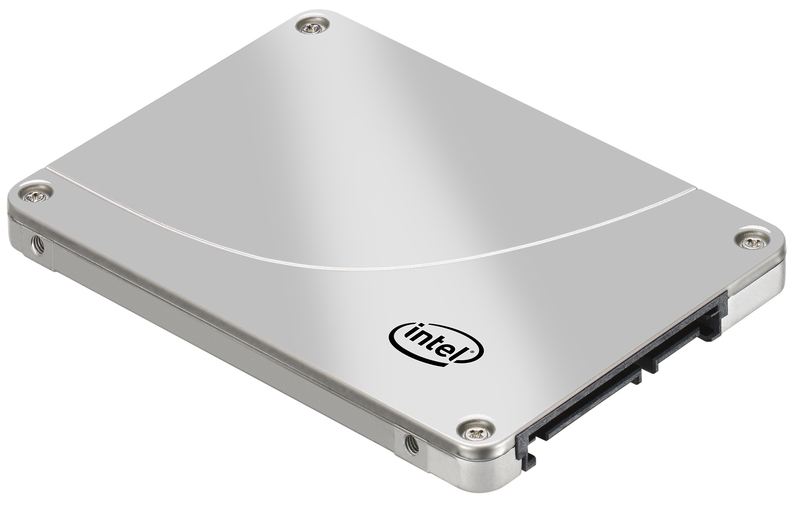 Right now the largest SSD that Intel offers has 4TB of storage. The increase in capacity is made possible by Micron’s 3D NAND flash, which it is now able to produce in volume. Samsung and Toshiba already make use of 3D NAND flash technology in their SSDs, but neither have hit the 10TB mark. If you can’t wait for that, Fixstars sells a 13TB SSD, though it will set you back around $13,000. Author Brian CarnellPosted on March 4, 2016 March 2, 2016 Categories UncategorizedTags Fixtars, Hard Drives, Intel, Micron, SSDs, StorageLeave a comment on Intel/Micron to Release a 10tb SSD? Crucial has announced an upcoming 960gb SSD drive that will retail for a reasonable (by SSD standards) $600. Nice to see SSDs starting to reach such large capacities with continuing the rapid decline in per gigabyte costs. I happened to be reading a comment on another website the other day where the commenter claimed SSDs would never be viable alternatives to traditional magnetic hard drives until manufacturers solved the “100,000 rewrite cycle issue.” StorageSearch.com’s SSD Myths and Legends – “write endurance” attempts to put this claim to bed once and for all. The main point is that most of the SSD drives being sold today have write endurances ratings in the 1 to 5 million rewrite cycle range. The 100,000 limit was the maximum available in the late 1990s, but has long since been superseded. The upshot of this is that even using extremely data intensive applications that write and rewrite large amounts of data over and over again to and SSD, the user is looking at decades of such intensive use of an SSD before it fails. This is why typically, SSDs released today have MTBF ratings equivalent to those of magnetic hard drives (not that there aren’t issue with MTBF as a guide to hard drive reliability, but rather that there is nothing about recent SSDs that will make them fail more frequently than their magnetic bretheren).